Recently, a scathing report on the United States' health care system was issued. Surprisingly, little was made of this report in Canada. This was a shocking oversight, given that our performance on this same report was abysmal. Our health care system ranked second last in the study. How did our once-vaunted health care system become such a very expensive failure? On June 16, 2014, The Commonwealth Fund, a private foundation headquartered in Washington, DC, issued a scathing report on the United States' health care system. Compared with the health care systems of 10 other major industrialized nations, the United States spent the most annually per capita on health care, at $8,508, while achieving the worst health outcomes of developed countries, as measured by indices of Quality Care, Access, Efficiency, Equity, and Healthy Lives. Predictably, the report generated widespread outrage in the USA, and was broadly reported on across American media outlets. Surprisingly, little was made of this report in Canada -- minimal media coverage, and close to no acknowledgement from our elected officials. This was a shocking oversight, given that our performance on this same report was abysmal. 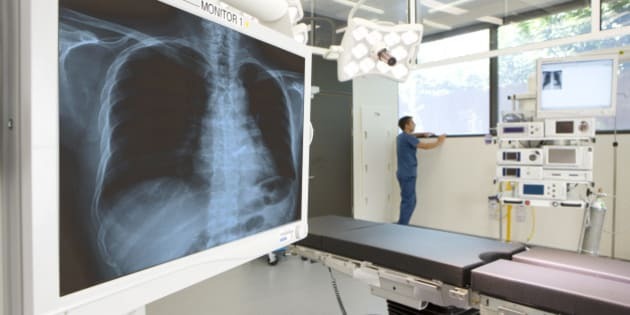 Overall, our health care system ranked second last in the study (#10 out of 11 countries), while our government spent the 6th most per capita of any developed nation, at $4,522 annually. Where was the indignation such a poor showing deserved? How did our once-vaunted health care system become such a very expensive failure, worse than the systems of all other developed nations save the United States? As a physician who practices on the front lines of Canada's health care system, with an extensive education in economics, I have an unorthodox perspective on the matter. While the United States' system clearly fails due to the horrific care it provides to its less advantaged citizens, it is my belief that the greatest single failure of our health care system is its attempt to ignore the first and foremost principle of economics, the law of supply and demand. For those unfamiliar with this underlying rule of economics, it describes human behaviour when it comes to buying and selling goods. Simply put, supply and demand laws state that the higher the price of any good, the greater the quantities of that good its producers will make. Conversely, the lower the price of any good, the greater the quantity of that good consumers will buy. 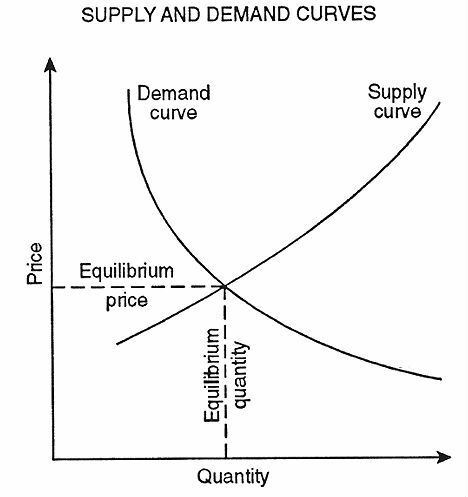 Modern economic systems function by allowing prices to fluctuate up and down, reaching points of natural equilibrium, where quantities of goods supplied equal quantities of goods demanded. It is for this reason that we rarely see shortages of goods in our society. In Western economies, situations where the supply of a good cannot meet existing demand (e.g. an orange shortage due to frost) result in that good's price trending upwards. As this happens, demand quickly decreases and supplies gradually increase (due to the introduction of more expensive sources of stock that are only viable at higher prices -- imported fruit, in the orange example) until a new supply/demand equilibrium is reached. In contrast, communist economies, like that of Cuba, frequently experience severe shortages of goods, largely because such systems' lack of price fluctuation allows no mechanism to moderate demand or to mobilize more expensive sources of production. Why is supply and demand relevant to Canada's health care system? Our current universal health care system, as mandated by the Canada Health Act (CHA) of 1984, disallows any charges to patients for necessary health care services -- i.e. it artificially sets the price of health care services at $0. While this policy was enacted with noble intentions, it was a decision made with a terrible lack of insight into economic consequences. The first question that should have been asked, back in 1984, was 'what happens to demand for a good when its price becomes $0?' Any first year economics student could tell you, by inspecting the demand curve, that as price approaches zero, demand becomes infinite. The ramifications of this insight cannot be overstated: With our system of mandated zero pricing for health care, our government, through the CHA, created a recipe for infinite levels of demand for health services. As there is no practical way to supply limitless quantities of health care, this has led directly to the perpetual shortage of medical care our system exhibits. To make matters worse, the CHA also disallowed all private billing for health care provision, eliminating any possibility of the private sector opening up secondary, more expensive sources of care (e.g. private hospitals and operating rooms), that could have functioned to partially ease our chronic supply shortage. This perfect storm of limitless demand for health care, combined with an inflexible supply of health services, accounts for why no amount of resources our governments have thrown into fixing our health care system -- more doctors, more hospitals, more CTs and MRIs -- has ever been enough. All excess supply our government creates is immediately gobbled up by the monster of limitless demand, due to that new capacity being given out at a zero dollar price. Consider the following frightening numbers: Canada's spending on health care rose from 7 per cent of total GDP in 1975 to 11.6 per cent of GDP in 2010, a more than 50 per cent increase in the proportion of our economic output spent on health. In 2012, nearly 40 per cent of the total budgets of our provinces and territories went to health care spending. Meanwhile, from 2004-2010, wait times have deteriorated, with the proportion of Canadians who reported waiting six or more days to see a doctor, when sick, rising from 25 to 33 per cent. Projecting forward, as our population ages and grows more needy of medical care, these numbers can only be expected to worsen. Sadly, debate on Canada's health care system has been stifled for decades. Any attempt to discuss private, for profit care, or user fees for patients, has been routinely met with hysterical cries of "we'll never have a system where the poor go untreated, like that of the USA." This is unfortunate, as there are many shades of grey between our system and that of the USA. 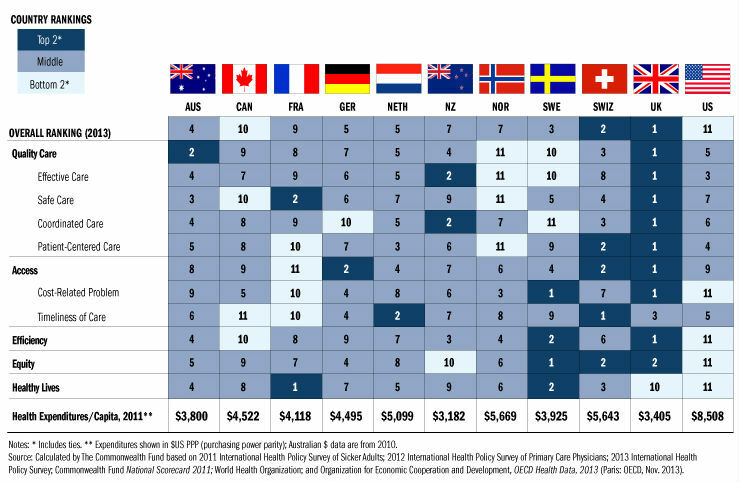 Among developed nations, ours is the only health care system without a private option, and the United States' is the only system without a public option, and it is illuminating that our two countries represent the two worst performing health care systems in the developed world. Going forward, it is imperative that we in Canada abandon our illogical, stubborn adherence to "free healthcare only" dogma, and begin to accept that zero price will always cause unlimited demand, and that the most successful systems in the world all combine private and public health care options, raising the price of care for those that can afford it. The number one ranked system in the world, that of the United Kingdom allows private, for-profit hospitals alongside its public system. Switzerland, Sweden, and Australia, the number two, three, and four ranked systems respectively, all have private and public hospitals, and all charge patients some form of user fee for access, even in their public systems. In none of these systems do the poor go untreated, and in fact, when it comes to equitable and fast access to care, they all vastly outperform our own. At the same time, the United Kingdom's per capita spending on health care, at $3,405 per annum, is only 75 per cent that of our own. Imagine the budgetary freedom we could achieve in our country if we could accomplish a proportional reduction in health spending to match that of the U.K.'s top performing system. So, returning to the example of fruit, if the government legislated that oranges could no longer be charged for and could only be picked up at government operated stores, and that no matter how long the lineup for oranges at those stores, no individual could buy oranges from elsewhere for a fee, would anyone be OK with this? Would this system make sense to anybody in our free society? I somehow doubt it -- yet for some reason our population collectively yawns while we have this exact same set of rules for health care, resulting in the second worst performing system in the developed world. It's time for our population to wake up and demand a rethinking of the Canada Health Act, so that we can once again have a system that is economically sustainable and ranks among the best of its peers.